This article will walk you through the process of resetting your password for your DR POWER account, if forgotten. Go to the DR Power login page to request a new password if you have forgotten yours or if you wish to change your password. 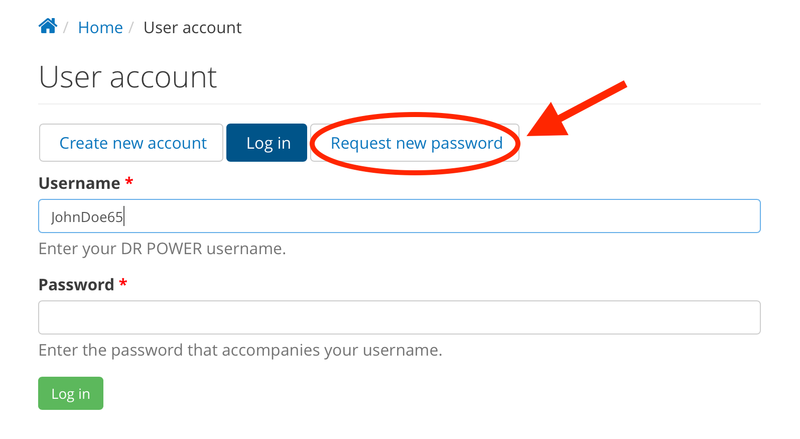 Click on the Request a new password button. 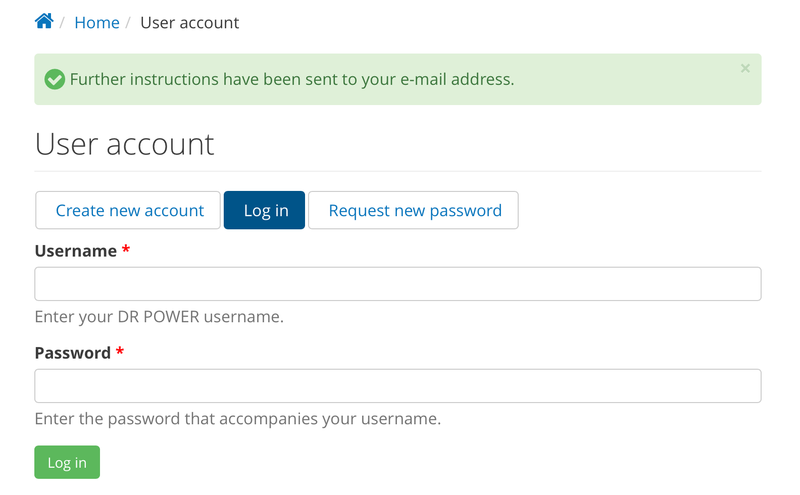 You will be taken to a new page where you will be prompted to enter your DR POWER account’s linked email address. Type in your email in the box provided and click on the E-mail new password button. Now, the original page will return, this time with a message stating that further instructions have been sent to your email.